These CIIITs are aimed to make the youth of Punjab more employable and industry ready. 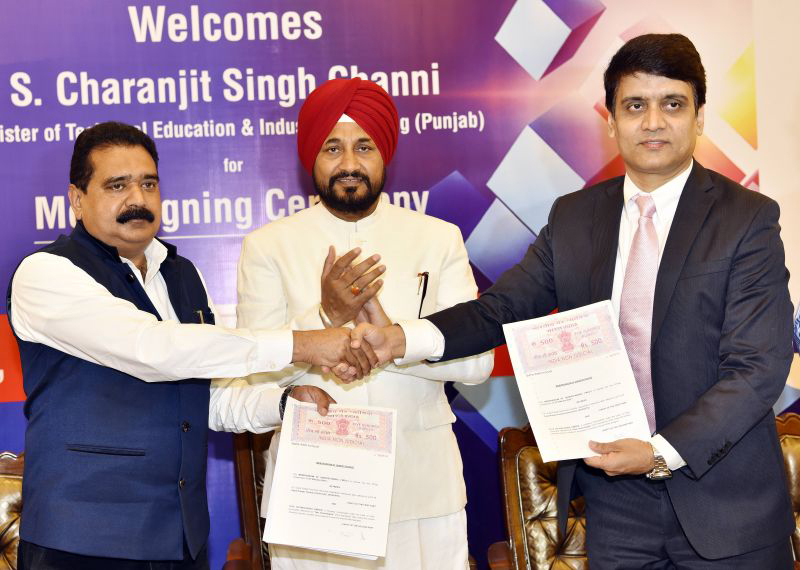 Tata Technologies, the global engineering services provider, recently signed a Memorandum of Understanding (MoU) with the I K Gujral Punjab Technical University (IKGPTU) to promote technical education by establishing five centers for innovation, invention & incubation (CIIITs) in Punjab. The aim is to facilitate innovation and skill development amongst students as well as industry professionals, who can then go on to be skilled resources in the industry. The MoU was signed by Anand Bhade, president, APAC sales, global marketing & communications, Tata Technologies and Prof. (Dr) Ajay K. Sharma, vice chancellor, IKGPTU at Chandigarh in the presence of S. Charanjit Singh Channi, the minister of technical education & industrial training, Punjab. This tie-up is expected to establish Punjab as a preferred manufacturing investment destination, and bring about qualitative improvements in technical education. This will be achieved through industry–academia partnerships, as well as students’ training sessions combined with first-hand industrial learning to make them more employable. This is also expected to equip the technical institutions with modern equipment and state-of-the-art technologies, and in the process also enhance their reputation. The objective is to ultimately generate a pool of skilled manpower and increase the employability quotient for Punjab’s manufacturing sector, in the long run. This initiative will be undertaken in two phases — the first one will be launched in January next year, followed by the second one in March 2019. The hub will comprise four centres, namely ‘product design and development’, ‘domain exploration’, ‘mechatronics and IoT’ and lastly ‘advanced integrated manufacturing centre’. The first phase will include CIIITs at IKGPTU main campus in Kapurthala and Sultanpur Lodhi, while the second phase will comprise the establishment of CIIITs in Chamkaur Sahib and Jalandhar. These CIIITs will enable a large number of youth from Punjab to take up industry-relevant skill training, which will help them secure a better livelihood. It will offer various skills required in the manufacturing centres catering to both high- and low-end skilling.